Courtesy of Wailea Realty Corp.. 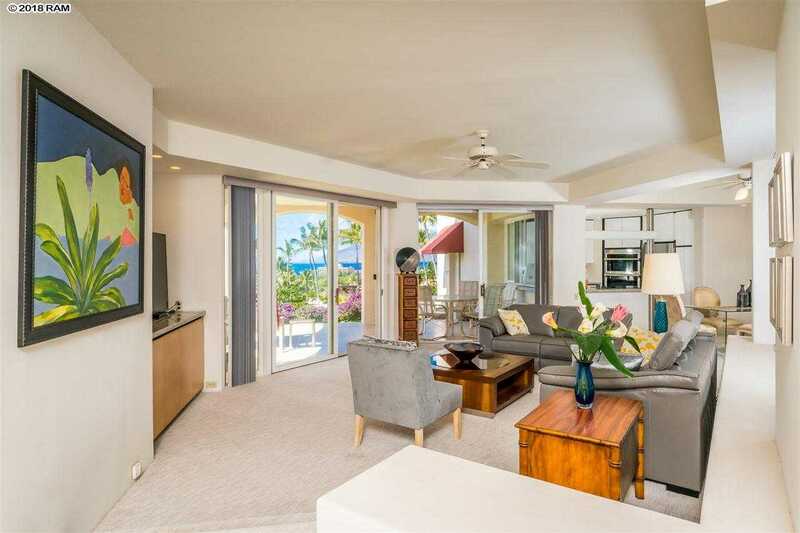 Enter the gated, well manicured grounds of Wailea Palms and find #3101. There are no steps to enter this ground floor unit, though perched on a slight hill that looks out to the ocean. All bedrooms and living room share an awesome view. This 2 bedroom 3 bath unit has a custom built in office that converts to a bedroom via a queen size pull down bed. The corner bedroom offers privacy and security with a tall, flowering Bougainvillea hedge. Newer upscale gym equipment and one of the most beautiful, heated pools in Wailea, add to the peaceful enjoyment achieved through âno short term rentals.â Wailea Palms owners are part of the exclusive Wailea Golf membership. Please, send me more information on this property: MLS# 380996 – $1,350,000 – 3150 Wailea Alanui Dr Unit 3101, Kihei, HI 96753.